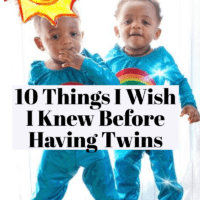 No one can possibly prepare you for the experience of having twins. It is the journey of a lifetime. 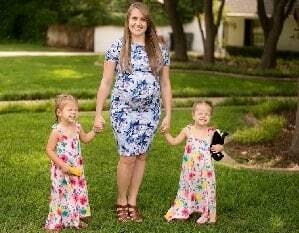 Not only have you just become a Mom, you are now a mom of twins. You will get to experience double the trouble and double the awe. You will be tired, and cranky, and filled to the brim with love. The exhaustion will be amplified, but the joy will be magnified. 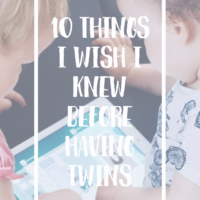 There are a few things I wish I could have told myself, back when I was a rookie mom to twins. 2. The magical connection twins have. 3. You will become a celebrity. 5. Be present over perfect. 7. 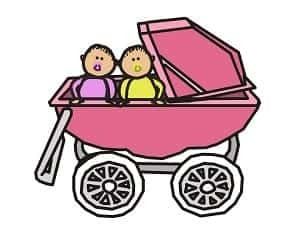 Don’t read the twin mom blogs. 8. That it only gets easier. 9. Your confidence will grow. 10. Having a single baby will seem so easy. No one could have prepared me for how hard and how amazing the journey would be. The nights of the endless baby parties where no one wants to sleep. Or the high you would get after seeing them both take their first steps. No other twin mom could have told tell me how their smiles would carry me through the tantrums and sickness. I believe experiencing the hardest parts of parenting in the beginning, and learning to figure it out have made the sweet moments so much sweeter. Your twins will be each other’s biggest fans. They will entertain each other, laugh at each other, and make each other cry. When you send them to school for the first time, you won’t be anxious because you know they will have each other. They never feel alone; their best friend is always there. Everywhere you go people will stop and ask you questions about your twins. 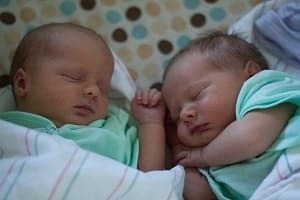 They’ll tell you about twins they know, or ask you how hard it is being a parent of twins. When tell you that you have your hands full, you can tell them so is your heart. When you’re a new mom you want to prove to everyone and yourself you know what you are doing. This makes you feel hesitant to ask for help. But please ask for help, you will need it. For the first eight weeks, our family rotated through one week at a time so that we could grab some sleep and actually eat dinner other than fast food. Don’t worry about if your babies are in the cutest outfits, or how often you should be having professional photos made of them. Don’t worry about not making homemade baby food. Instead be present. 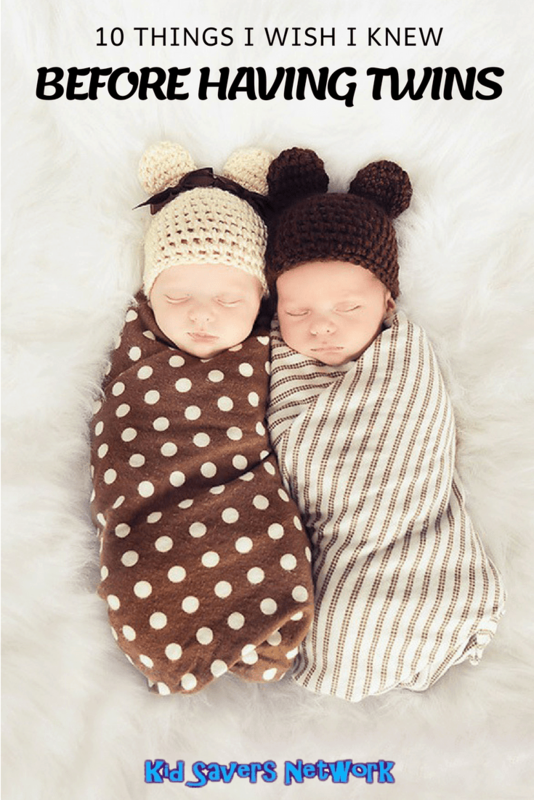 Celebrate the twins sleeping through the night. Celebrate successfully cooking a homemade meal. Don’t worry about hitting up the gym. Don’t buy a membership, you won’t have time. But trust me when I say you will probably take more than 8,000 steps a day chasing after your little ones. Take them on walks, the double stroller alone will provide you with some strength training. Don’t do it. You will give yourself an anxiety attack reading about how someone had to be put on bedrest for 3 months. You’ll be worried about counting babies kicks, and wonder if they are growing accordingly. There are a lot of horror stories out there, so don’t read the blogs. The hardest part in my opinion was the first eight weeks, and in total the first twelve months. But after that it only gets easier. They learn to communicate. They learn to feed themselves, and eventually they learn to walk around without falling and hit their heads! The best part about having twins as they get older is the companionship they provide each other. It’s like a built in play date! You’re a superhero to two. Learn to trust yourself and the decisions you make as a parent. You will grow more comfortable with who you are and the best way to parent each child. You are raising two little people at once who are not only surviving – but thriving! I was brave enough to have another child after having the twins. I couldn’t imagine being an empty nester all at once. Having a singleton, the second time around has been a piece of cake. My husband and I can now trade off and take breaks, I still have one arm free while carrying a baby and cooking dinner, and somehow the fussiness of just one baby is much easier to handle! So, don’t be scared to have another!